December | 2015 | LIT.GAZ. Books read – 71 (down from 88 last year) what on earth is going on here? Retirement was supposed to mean more reading, not less! Looking back through the log, it appears that I did next to no reading whilst away on holiday, and I did have quite a few holidays this year. Looking through what I actually did manage to read, there’s quite a lot of Shakespeare; there have been a number of plays I’ve wanted to re-visit, and I still haven’t quite finished. Also a lot of science fiction, as I’ve been filling the gaps in my Ursula Le Guin collection (and reading more SF was one of last year’s resolutions), and a vast amount of travel writing. Very little ordinary fiction, I’m afraid, and the resolve to re-read Jane Austen I made last year did not happen, either. I shall continue to work on diminishing the unread pile. Actually, I didn’t do too badly this year, and managed to get rid of quite a few books too, which suggests that with some books, the moment just passes… perhaps this will encourage me to buy fewer books. Next year I may include a ‘books disposed of” count. I shall read more Shakespeare. I shall read some more poetry. I love poetry, but somehow it does get overlooked; when I want something to read, I don’t naturally reach for poetry. Christmas wouldn’t be Christmas without a pile of exciting new books. Here’s a brief look at what I received as presents from family this year, and which I’ll be writing about in more detail as I read them. 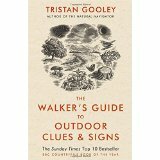 I’ve already begun Tristan Gooley‘s Walker’s Guide to Outdoor Clues and Signs. I’m a keen(-ish) fair weather walker, and like to feel I’m pretty attentive to what I see around me. One of the reasons I tend to prefer walking alone is to allow me to pay more attention to where I’m walking. Gooley has already shown me there’s far more I could be noticing and deducing: I look forward to putting some of this into practice. 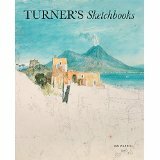 I’m a great lover of Turner‘s work, and so was very happy to receive a newish book published by the Tate Gallery, Ian Warrell‘s book on Turner’s sketchbooks. I’m entranced by how the great man’s sketches can be so incredibly suggestive, impressionistic. Really looking forward to spending hours with this one. 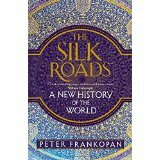 Regular readers will know of my fascination with the silk route, so Peter Frankopan‘s large tome The Silk Roads, is very welcome. It will hopefully be an addition to all my books of pictures and maps and travel accounts, as it’s billed as history from the perspective of the silk route. 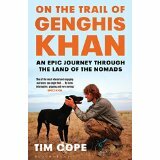 Sort of linked with that tome, at least by geographical area, is Tim Cope‘s On the Trail of Genghis Khan. The title is self-explanatory, and I’m really looking forward to it. 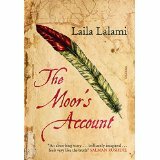 The Moor’s Account, by Leila Lalami, is one I came across by accident: I listened to a Librivox recording of an account by a Spaniard of his wanderings in Florida in the early 1500s; a Moorish slave is name-checked once his account, and this is an imagining of the whole journey from that slave’s perspective. Unexpectedly interesting: along with a bundle of newspapers from Iraqi Kurdistan came a tourist guide to that region, sumptuously produced and illustrated, and, in the main, translated into good English. I’ve had a fascinating browse and I’m looking forward to a closer read; there’s a really good map – always a bonus to me – but I have to say that, although I wish them luck with their fledgling tourist industry, I shan’t be rushing out there just yet. That should keep me going for a while… thank you to my generous family. I recall a wonderful amateur production many years ago at my last school, when we were lucky to have a sufficiently talented group of actors to put on a production (I stage-managed) which went down very well. I think I’ve seen the play once or twice in the theatre, too, but not recently, so there’s something to look forward to one day. Re-reading the play set me off thinking further about comedy. So much more seems to be riding on the language than in tragedy. Yes, in the tragedies there are the great set-piece speeches and soliloquies too, and I’m not disparaging these at all, but they accompany clear onstage action, and the emotions and responses expected from an audience are clear; in spite of any issues with the sevententh century language, a twenty-first century audience is in no doubt about what’s going on – the deaths and murders that are the stuff of tragedy are obvious. There seem to me to be rather more obstacles to the appreciation of Shakespearean comedy, which I’ve been aware of in the theatre when I’ve often found myself much readier to laugh than most of the audience (which is fine, as I love laughing). 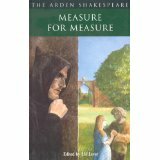 The language is sharper, the exchanges between characters are more rapid, quick-fire wit is the key: a modern audience will surely understand if they have the time to take everything in, if they are as quick-witted as Shakespeare’s characters, but comprehension is often lost: puns, innuendos and obscenities that make up the core of the humour flash by too quickly. And then, there are the changes in the use of the language itself, and the different context of some of the exchanges, before we even get on to the action onstage. What the actors themselves are up to may also be less easy to interpret: yes, there is cross-dressing and hiding and general silliness which one can usually understand, and there’s certainly lots of this in Twelfth Night, but one also needs to be clear about the very diferent attitudes to courtship and marriage, which are woven into the complexities of the plot. 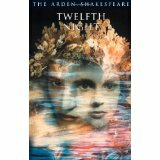 I have realised it’s taken me a very long time to begin enjoying Shakespeare’s comedies as much as his tragedies, and I have been thinking about why this may be. 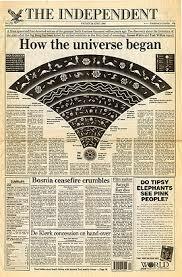 Perhaps the tragedies are easier to access: a (pretty) clear plot, and message, and an expected audience response. 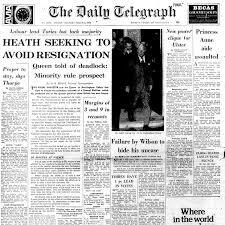 Certainly, I understood Othello and King Lear when I studied them for A Level. 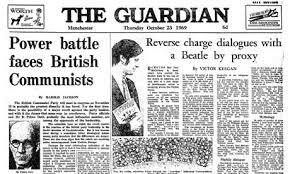 At university, I preferred the tragedies, saw some sense in the histories, and managed, largely, to overlook the comedies. 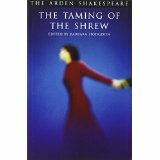 The Taming of the Shrew is wonderful, for its plot, its framing, its message and its language – full of wit, pun and obscenity. I think the quick-fire, rapier wit exchanges are also probably somewhat more difficult for twenty-first century audiences to grasp quickly, meaning the moment has often passed before we know what to laugh at. Although I’m getting better at this. The interaction/ interplay between Kate and Petruchio is masterly, often hilarious. And again, what audiences find humorous or witty does change over time, whereas the subject-matter of tragedy remains pretty constant. 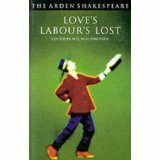 So, the range of Shakespeare I enjoy has broadened: I’ve grown to like Love’s Labours Lost, Much Ado About Nothing, As You Like It, and The Merry Wives of Windsor; I may even go back to some of the more obscure ones like The Comedy of Errors, or All’s Well, but I don’t think I’m ever going to be able to like A Midsummer Night’s Dream, although I did once, many years ago, see a wonderful production of it. For some reason, I’ve come to enjoy ancient Egyptian art, particularly statues and sculptures, and a recent visit to the Neues Museum in Berlin was wonderful, although I did come away with the feeling that the only reason the Germans hadn’t brought the pyramids back was that they were probably a bit too big… I suspect my interest dates from seeing the first Tutankamun exhibition at the British Museum in 1972. Over the years I’ve come to enjoy the impressionists a great deal, and have fallen in love with German romantics like Caspar David Friedrich, but my greatest pleasure at the moment comes from Turner‘s paintings, watercolours and sketches. But then there are also unexpected, one-off discoveries, like the astonishing Otto Dix series Der Krieg, based on his experiences of the First World War. My tastes are very catholic, as you can see. And modern printing technology allows books of reproductions of very high quality. As I thought about what I liked, what gave me pleasure or spoke to my condition, I also wondered about what I didn’t like, or, more accurately, felt I couldn’t access or understand. Some art I find so culturally distant from what I have grown up with that it is hard to approach or understand – the art of Africa, India, South East Asia or the Pacific, for instance; I find European and Middle Eastern art much easier on the eye and the brain. In a slightly different way, I have also felt that, upon reflection, time is also important: I find a lot of religious art, particularly paintings (sculpture and architecture less so) too austere and remote, and most portraiture from the sixteenth, seventeenth and eighteenth centuries leaves me totally cold and uninterested. This, I think, is because it strove to be representative, and, in a post-photography age, it just doesn’t work for me at all. 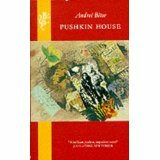 Everything is in this book, in small doses sometimes, and overdone at others. My first gripe is that, when I’m looking at pictures, I’d like to know where I can go and see the original: that information is clearly given, but in an appendix at the back of the book, and this book is so large that quickly flicking to the back just isn’t an option. By the time I got to the end of thebook, I felt that there was an undue emphasis on recent – late twentieth century – art and sculpture, whereas earlier eras were a bit skimmed over. Or is it just that there is so much more art being created now, a greater variety and more experimentation? 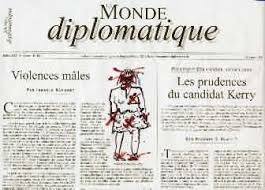 How subjective is the selection made by the editors? 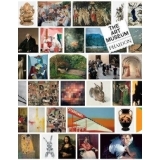 Picures and scupltures are reproduced in high quality, and there is a very informative glossary, annotation and location of every work ‘exhibited’ in the book. It will continue to be a useful companion in the future, though I suspect it won’t stop me acquiring other, more detailed collections of particular artists’ works. If you have read may of my posts about travel writing on this blog, you will know that I’m fascinated by the Silk Road, that collection of routes (for there was no single route, like the M1) which linked East and West from the times of Alexander the Great onwards, allowing people to trade, and to exchange ideas and knowledge. This book is clearly a labour of love: it is helpfully illustrated by many maps of all the different routes that are known, and liberally illustrated with hundreds of wonderful photos of people, places, artefacts and treasures. I was saddened to think how many of the places described and illustrated are nowadays inaccessible because of ongoing conflicts, and also realised how much had been destroyed by fanatics and fundamentalists since the book was written – the Buddhas of Bamiyan, the Roman remains of the city of Palmyra in Syria. 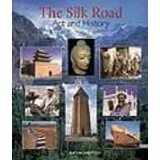 This is probably the book to have on the history and culture of the Silk Roads, as a companion to any other reading on the subject.